Where do you guys put the standard size RxC cans in the taurus sho engine bay? Infront of hte radiator or near the strut tower on the passenger side where the JLT cans go? Trying to figure out where to mount this can and how I'll drain it, I think near the strut tower might be winning out if it will fit and I'll just have to undo the bracket to drain it, idk? Welcome back brother! 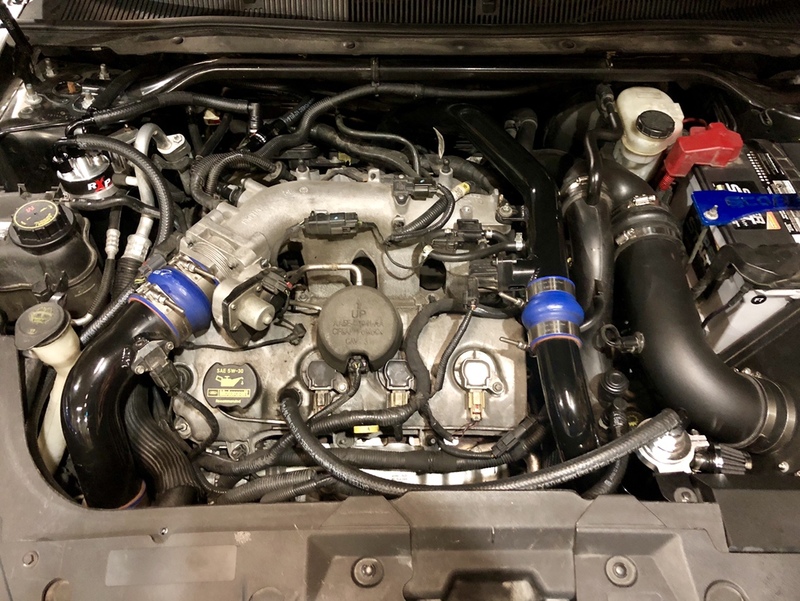 In front of the strut tower and next to the coolant reservoir is more of a common location and ideal install but many have installed it in front of the bumper which yielded better overall results due to it being in a cooler location for the OCC! Sometimes some Trial & error is called for!! I did an inexpensive twin can homebrew setup. Strut tower area and behind the radiator. Nothing is hard mounted. You can un-install and snap the old lines back on with out any tools. I think another member installed the OCC in that same location IIRC! It looks good but I can see you put alot of time consuming effort! I hope it works as designed. Silicone caps for where exactly ? I was going to get something nicer and more resistant to oil/heat but these should be temporary? Here’s where I put mine. Not sure if the can not being perfectly straight is an issue or not.